RING - SARAH COVENTRY. 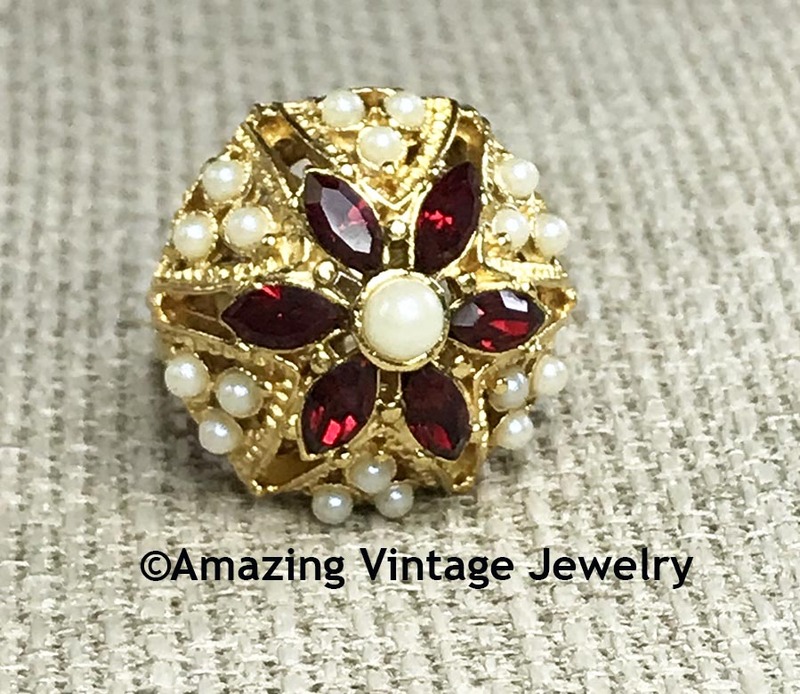 "QUEEN'S CHOICE" FROM 1970 HUGE GOLDTONE DOME WITH RED RHINESTONES SURROUNDED BY SMALL FAUX PEARLS AND A SLIGHTLY LARGER FAUX PEARL IN THE CENTER. ADJUSTABLE. 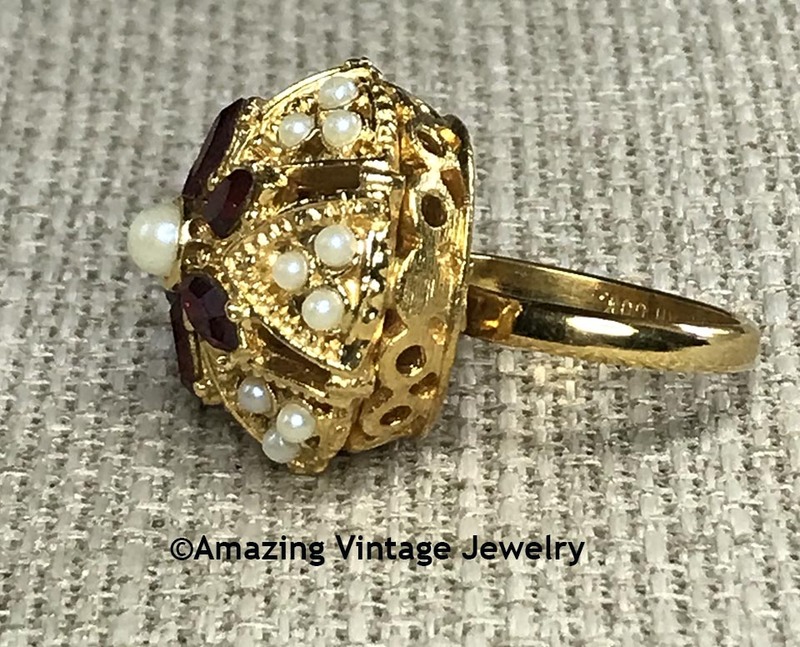 RING TOP IS 13/16" IN DIAMETER AND SITS 11/16" ABOVE THE FINGER. VERY GOOD CONDITION. 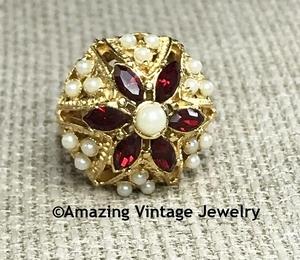 TAKE CARE NOT TO HIT THIS RING AGAINST ANYTHING WHEN WEARING - IT COULD DAMAGE THE RAISED FAUX PEARLS OR DISLODGE ONE.